Welcome and thank you for visiting our website. We are Nevada 's premier sushi company. 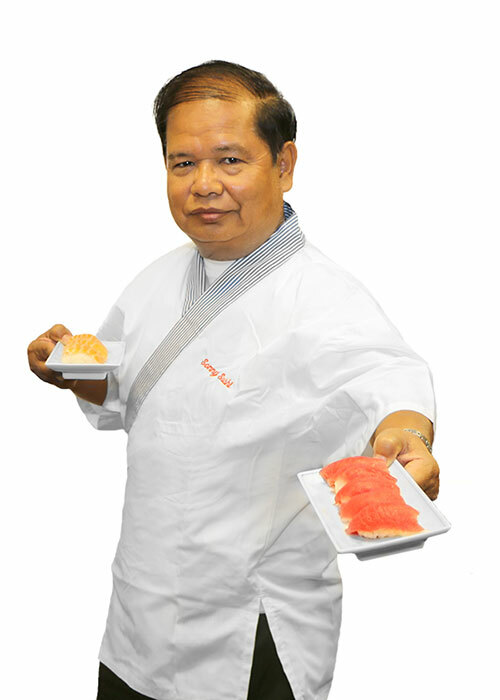 To accommodate the demands of Fresh Sushi in this desert region, which happens to be the Entertainment Capital of the world, I founded Sonny Sushi Company in the millennium year of 2000 in Las Vegas . Having learned about Sushi in Japan and moved to Las Vegas as a businessman in 1995, I quickly noticed the need to meet the demands of Fresh Sushi in this desert Las Vegas region. Our broad array of different kinds of Fresh Sushi are hand-made everyday with freshest and best quality ingredients by our top sushi chefs to fulfill cravings for Sushi by both our locals with dynamic lifestyles and tourists from around the world with diverse tastes. We supply our Sushi everyday to public, supermarkets, hotels and casinos in Nevada . And also we cater to all parties from Corporate Events, National Sporting Events, Banquet Parties to Birthday Parties and House Parties. Let us know for all your sushi needs and we will make it a memorable event as our slogan says, "We add Quality instead of MSG." at Sonny Sushi!